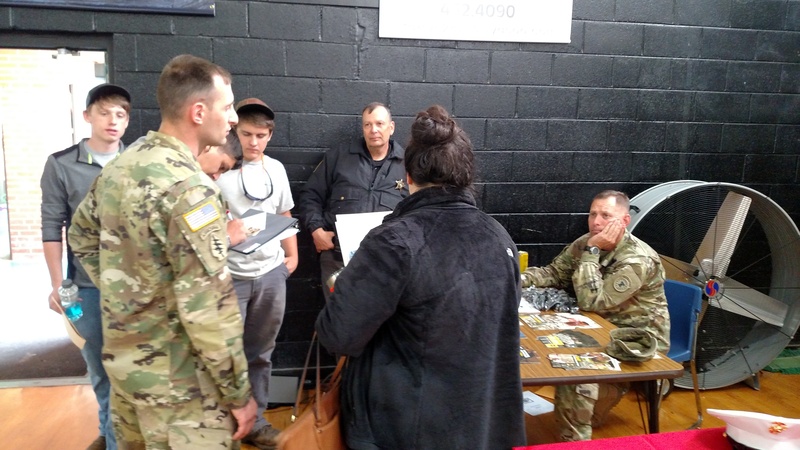 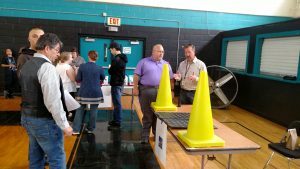 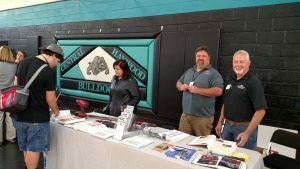 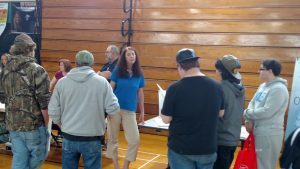 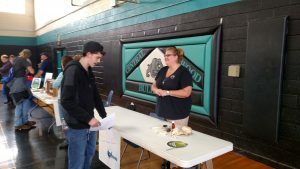 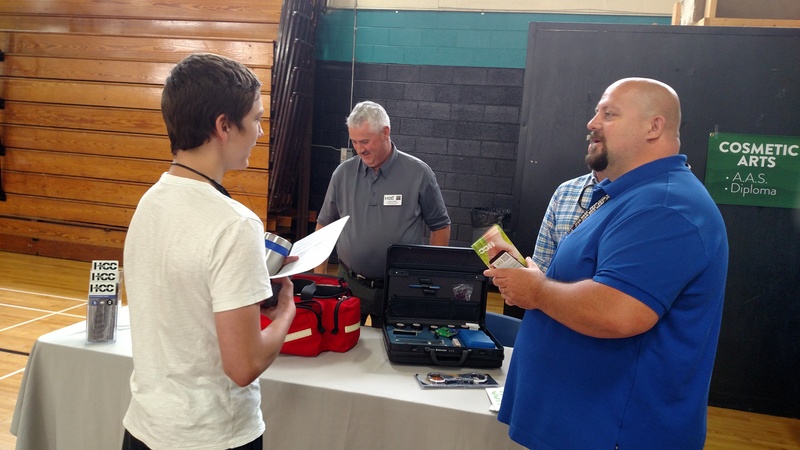 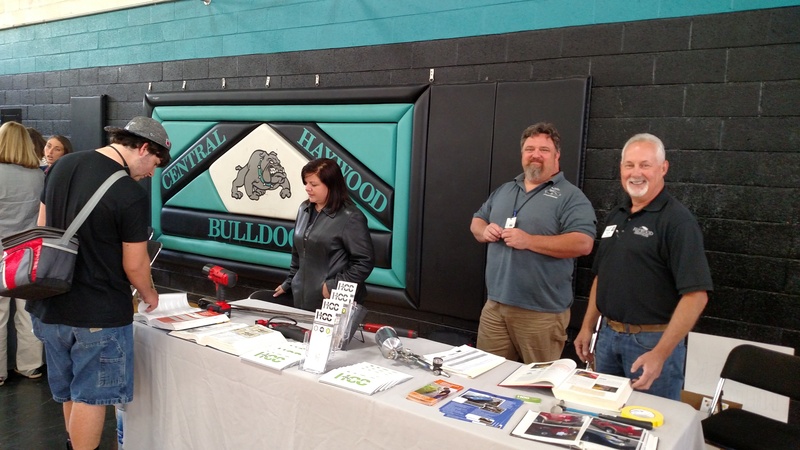 Friday, May 5, Central Haywood High School celebrated Career Day with guest speakers and employers following weeks of planning. Mr. W.C. Godfrey, Pisgah High School CTE teacher and AB Tech Instructor in Business Administration, and Mr. Michael Ramsey, McDonald’s Operations Consultant for 6 restaurants located in Western North Carolina, opened the event as keynote speakers in the school cafeteria and auditorium. 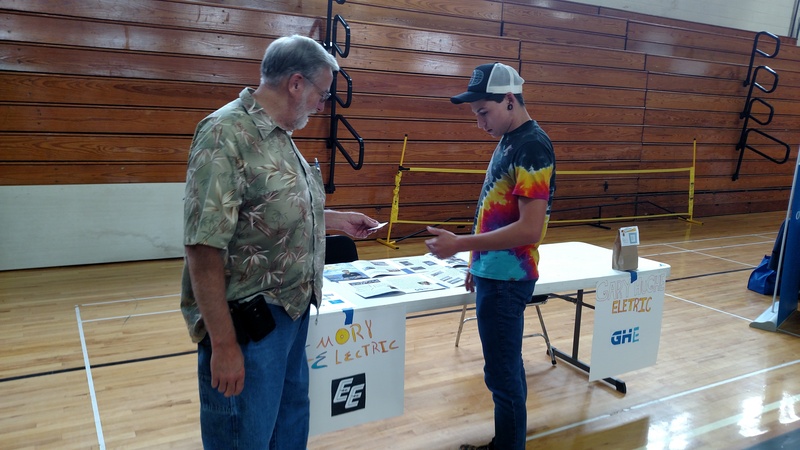 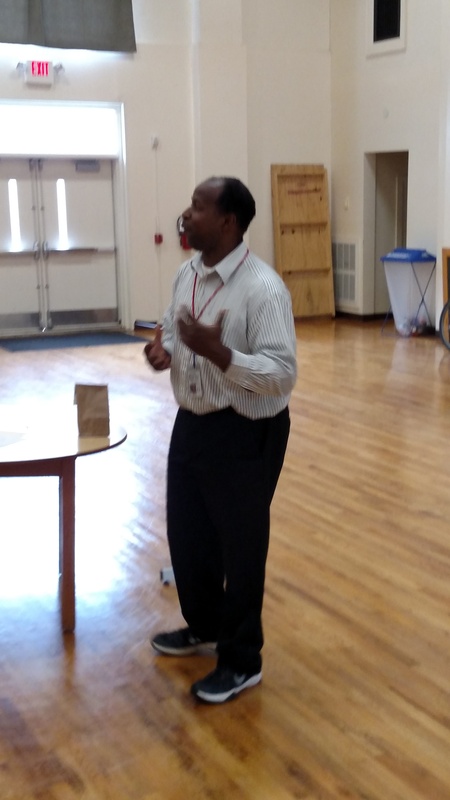 Mr. Godfrey brings years of experience in the pulp and paper industry, as well as high school and college teaching experience; he talked with students about skills employers are looking for early on in the application process as well as later in the workplace. “Be more concerned with your character than your reputation” he advised. 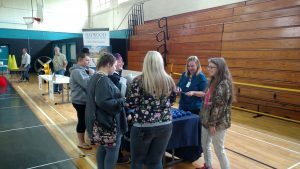 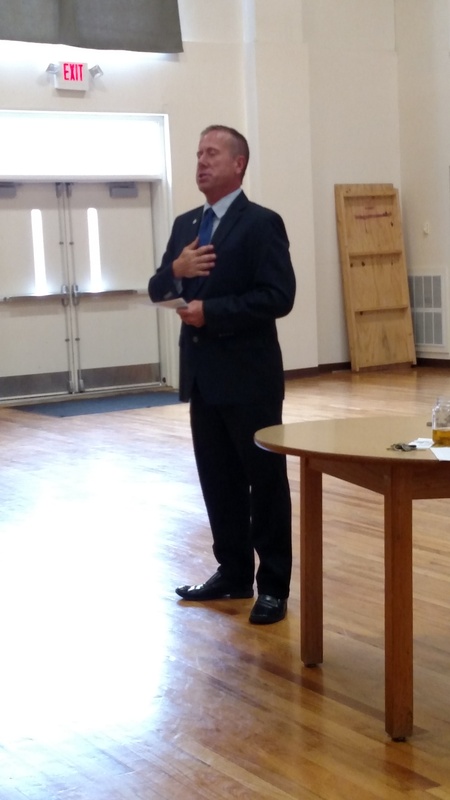 “Your character is who you really are… Real success does not compromise personal integrity.” He also identified a number of “soft skills” that students could work on while preparing for employment and offered advice on appearance, completing an impressive job application, the importance of school and work attendance, and appropriate use of social media. Mr. Ramsey began by asking students the kinds of work that interested them; then he explained that many businesses, like McDonald’s, actually offer a wide variety of “jobs.” “McDonald’s is the largest land holder in the world,” he explained; consequently, McDonald’s not only needs proficient cooks, cashiers, custodians, and managers, but McDonald’s also employees building contractors, accountants, media specialists, nutritionists, and more. 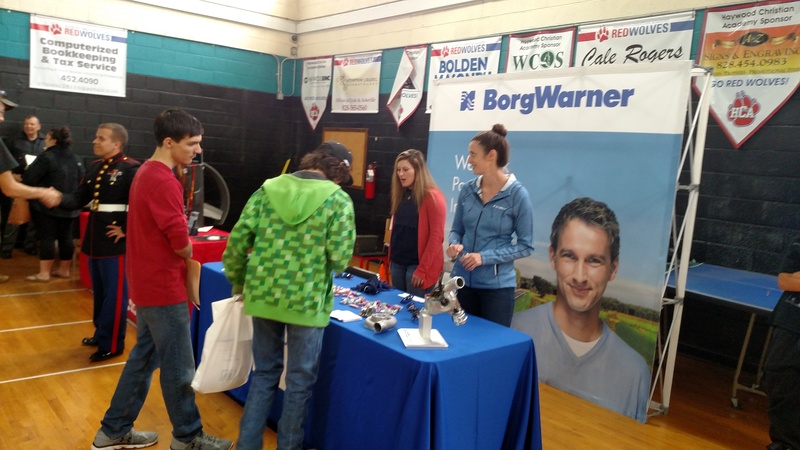 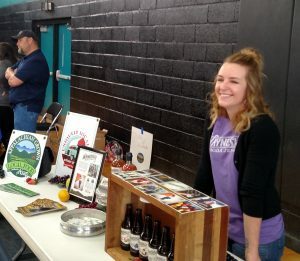 He encouraged students to look for the benefits that companies could offer that could help them further their education, such as tuition reimbursements, and reminded them that part-time “jobs” could develop into full-time careers for motivated employees.